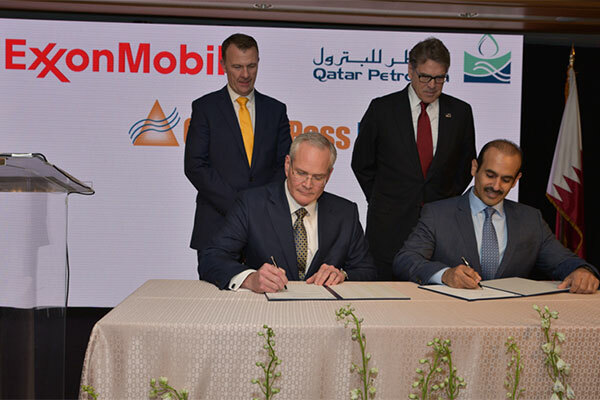 ExxonMobil and partner Qatar Petroleum said they made a final investment decision to proceed with the $10 billion development of the Golden Pass LNG export project located in Sabine Pass in the US state of Texas. The liquefaction project will have capacity to produce around 16 million tons of LNG per year. It is expected to create about 9,000 jobs over the five-year construction period and more than 200 permanent jobs during operations. Preliminary estimates by an independent study indicate the project could generate up to $31 billion in US economic gains and more than $4.6 billion in direct federal, state and local tax revenues over the life of the project. Golden Pass is part of ExxonMobil’s plans to invest more than $50 billion over the next five years to build and expand manufacturing facilities in the US. This includes the Growing the Gulf initiative, which will create about 45,000 jobs in America.